أعاني من شركة DHL فرع السعودية للشحن السريع بمطالبتهم دومًا دفع جمارك لمشترياتنا الشخصية المشحونة من مواقع البيع العالمية. في هذا الشهر طفح الكيل منهم لأن شحنتي من موقع امازون أرسلت بواسطة شركة DHL. أيقنت حينها أن الشحنة سوف تصل بوقت متأخر كالمعتاد، وسوف أدفع مبلغ جمركي. عندئذ قمت بإرسال رسالة لخدمة العملاء في امازون لإستيضاح إذا من الممكن إختيار شركة شحن نفضلها عن باقي شركات الشحن الآخرى، وهل لشركات الشحن الحق بطلب مدفوعات آخرى كالجمارك وخلافه. First of all I really thank Amazon for their services and support. We Saudis in Saudi Arabia suffer from the shipping carrier DHL. DHL always delay the delivery and charge us customs fees where these fees don’t apply to individuals packages (This is by law). However, DHL here insist to delay our packages in the customs and then charge us more fees. My first question, is there any way to pick a specific carrier when I order from Amazon in future such as FedEx or Aramex? These two carriers for example are the best here and we would like to choose them to deliver our packages to Saudi Arabia since they deliver packages on time or one day earlier to the estimated date. Also, they never ever charge us customs fees. My second question, I want to reject the delivery since DHL didn’t deliver my order 109-83XXX65-84XXX49 on time and I am sure they will charge me customs fees. Will Amazon credit me the dollar value to my credit card? I really want to give DHL a lesson to not charge Saudis fees for inapplicable packages. I ordered from Amazon and http://bhphotoviedo.com camera’s equipments in the same day and guess what? http://bhphotoviedo.com uses FedEx to deliver the packages to Saudi Arabia. My package arrived one day earlier than the estimated date and NO customs fees. Here is the proof. I and others from Saudi Arabia really want to continue shopping from Amazon, however using DHL as a carrier, it downgrading the whole experience with Amazon. I hope Amazon take this note and provide flexible option to pick a preference carrier to deliver our packages. بدايةً أشكر شركة امازون على الخدمات المقدمة والدعم المقدم لعملائها. نحن السعوديين في المملكة العربية السعودية نعاني من شركة DHL للشحن. شركة DHL دائماً تتأخر في إيصال مشترياتنا وتطالبنا بأجور جمركية علماً أن مشترياتنا الشخصية لا يوجد عليها أجور جمركية قانونياً. بالرغم من ذلك شركة DHL للشحن تطالب الأجور دومًا. سؤالي الأول، هل يوجد هنا أي طريقة لإختيار شركة الشحن عند الطلب من شركة أمازون بالمستقبل مثل شركة FedEx أو Aramex؟ كلتا الشركتان هم خيار ممتاز لشحن مشترياتنا الشخصية للمملكة العربية السعودية دون أي تأخير وعدم المطالبة بأجور جمركية. سؤالي الثاني، أرغب برفض إستلام السلع المشتراه من شركة DHL لأن شركة DHL قامت بتأخير إيصال الشحنة عن الموعد المحدد، وأنا أعلم يقينًا أنهم سوف يقومون بطلب أجر جمركي لذلك. هل شركة أمازون سوف تقوم برد المبلغ المستحق لبطاقي الإئتمانية؟ أنا أرغب بتقديم درس لشركة DHL للشحن لطلبهم أجور جمركية لمشترياتنا الشخصية. أنا وغيري في المملكة العربية السعودية نرغب باستمرارية الشراء من موقع أمازون، ولكن استخدام امازون لشركة DHL للشحن يضعف ويقلل من جودة التجربة معكم. أود من شركة أمازون أخذ رسالتي بعين الإعتبار وتقديم تسهيلات لنا كإختيار الشركة المفضلة لشحن مشترياتنا الشخصية. I’m sorry to hear about the problems you’ve been experiencing for your recent order shipped via carrier, DHL. We currently use IMEX, DPGM / DHL Global Mail, I-Parcel, Aramex, MSI, and DPGM_TNT for international Standard or Expedited shipments. For **Priority international** shipments we use UPS International or DHL International Priority. I’ve checked your order #109 and see that you’ve selected ‘Priority Shipping’ as shipping method. Please understand that all the orders enter shipping process without any manual intervention, as many of our fulfillment center processes are automated and computerized. Therefore, there is no way to request a specific shipper for any particular order. Orders that are shipped to countries outside the U.S. may be subject to import taxes, customs duties, and fees charged by the destination country. 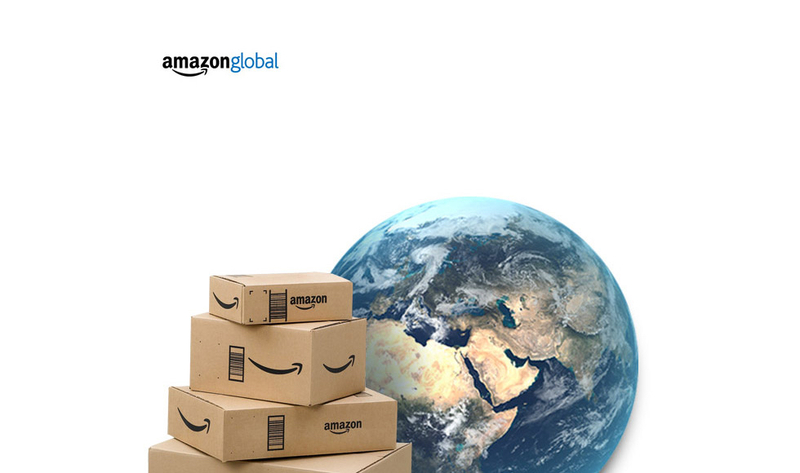 Amazon Export Sales will estimate and collect an import fee deposit to certain destination countries. These funds will be used by the carrier or another agent to pay the import fees on your behalf to the appropriate authorities when your package reaches its destination country. The estimated import fee deposit will be displayed in the cost summary on the last page of our online order form, just before you place your order. We’re aware that our choice of delivery services reflects on our business as a whole, and I completely understand the concerns you’ve expressed. I’d like to thank you for the time you took write in about this issue in details to us. Customer feedback like yours is very important in helping us continue to improve our website and services. I’ve forwarded your comments to our shipping department for review and necessary action. They’ll surely like to hear from you further in this regard and make necessary amends to our shipping services. I’d like to inform you that our development teams have worked hard on customer feedback like yours and implemented many of the features suggested along the time. Rest assured, your valuable suggestions will be considered and you’ll soon see a change in the way we ship orders of our esteemed Saudi Arabia customers. Regarding your concerns for rejecting the order #109-83XXX65-84XXX49 you can surely reject the item on delivery; however, any matter about refund of customers/import fee can only be settled with the shipper. Also, looking at your order I see that we’ve not charged you for any import fee. Don’t worry, if you’re asked to pay for any customs fees for your order by the carrier, please write back to us with the details and we’ll surely find a way to compensate you. Please be assured that we value all of our customers highly, and appreciate your loyalty. Thank you again for alerting us to this situation so that we can take action. الطلبات المشحونة لخارج دولة الولايات المتحدة الأمريكية معرضة لضرائب الإيراد وأجور جمركية مطلوبة من الدول المستقبلة للشحنات. شركة أمازون للتصدير تقوم بحساب وطلب جميع ما سبق من أجور عند عملية الشراء. هذه الأجور كاملة تستخدم عند وصول المشتريات للدولة المستقبلة لها لتسديد ما يلزم. أي حساب لضرائب وأجور جمركية سوف تظهر عند آخر صفحة الكترونيه للطلب في موقع امازون قبل طلب المشتريات. الآن نعلم أن موقع امازون يقوم بحساب التكلفة الإجمالية المتضمنة سعر السلعة وتكلفة الشحن والجمركة (إذا وجد) وغيرها من التكاليف كتغليف الهدايا قبل إتمام عملية البيع. ولا يلزم علينا دفع مبالغ أخرى لشركات الشحن. لهذا السبب يجب علينا معرفة كامل تفاصيل التكلفة الإجمالية لعملية الشراء، والسؤال عن شركات الشحن التي تتعامل معاها مواقع البيع. وأيضًا معرفة أي تكاليف إضافية غير معلنة بعملية الشراء لصالح شركات الشحن السريع. شركة الشحن أرامكس جيدة لا بأس بها. تستلم الشحنة من مقر شركة ارامكو. الداعي للذهاب الى اقرب مكتب لأرامكس. بالإضافة إلى شركة UPS فهم يقومون بتوصيل الشحنات بشكل سريع إلى مقر عملك أو منزلك ومبلغ أقل بكثير من معظم شركات الشحن السريع. شارك لك التواصل يا أحمد. ثانيا عندي اسفسار بعد اذنك ..
وطلبوا مني دفع 197 درهم اماراتي رسوم جمارك وتخليص شحنة علما بأن القيمة الاجمالية 2300 درهم.. وقد تم دفع قيمة الشحن على اساس التوصيل الى باب المنزل..
ثم شعار HDL فقط !!!!!! يعني كأنهم هم الجمارك !!!!! هذا هو التخليص الجمركي من شركة DHL. للأسف الحل الوحيد هو طلب ارجاع الشحنه لمصدرها لرفضك دفع التخليص الجمركي، وأيضًا تطلب من الشركة إرجاع المبلغ لعدم وصول الشحنة إليك.. خلال يومين سوف تتواصل معاك شركة DHL لإيضاح أهمية دفع المبلغ، عندها اطلب منهم ارجاع الشحنه على تكلفتهم أو ايصالها لباب المنزل بدون دفع مبالغ اضافيه لأن الشحنه شخصية. ما حصل لك، يحصل لنا جميعاً وبشكل فاضح للعيان.